An Elmwood Park native and Fenwick High school alumni, Mike Falsetti started his collegiate playing career at division one Bradley University (2010), then transferred to Triton College where he received All-region and Defensive Player of the Year honors (2011). After volunteer coaching at Triton College exclusively working with hitters and catchers (2012), Mike played his Junior and Senior year at division-2 Belmont Abbey College in the Conference Carolinas, earning all-conference honors (2013-14). Played first year of professional baseball as a catcher in the Frontier League for the Frontier Greys (2015). 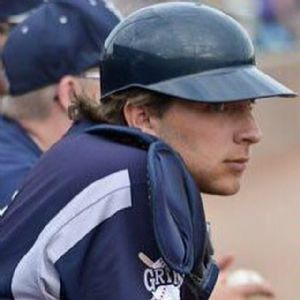 He continued his career in the American Association with the Gary Southshore Railcats, the Sioux Falls Canaries, and most recently with the Chicago Dogs as the everyday catcher (2016-2018). Mike has 4 years of coaching experience at Triton College, 3 of those years as the head assistant. During that time the Trojans won 3 straight regionals, had 15+ student athletes move on to the Division One level, and one MLB draft pick. Mike is currently the Master Catching Instructor for Windy City Baseball.